The Value Trail offers a comprehensive approach to competitive analysis and strategy, considering value as a central theme and from a customer based perspective. 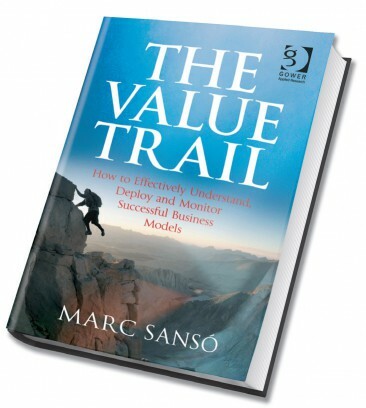 It fully develops a disruptive new model of strategic analysis (namely the Three Dimensions of Value model) that approaches the drivers of success within a business from a value-based perspective: how value is understood by the customer (Appreciation of Value), and how it is boosted (Concentration of Value) or subtracted (Predation of Value) by different business agents. From this business-level perspective, the book progressively moves down to a company level to allow the reader to understand how companies can set corporate goals and leverage internal resources to deliver successful value propositions. To close the circle, special attention is paid to the definition of an integrated monitoring system based on both market (outside-in perspective) and company (inside-out perspective) metrics. On top of that, the book also identifies, in line with this new theory, the most relevant existing competitive models, together with a comprehensive analysis of their strategic approach and success drivers. If you are an entrepreneur looking for a solid and understandable guide to fully cover all company stages, a manager seeking to improve the implementation of operational and strategic processes or a practitioner in search of a disruptive approach to competitive analysis, this is the book you’ve been waiting for. If you are either a former or current student of mine, you’re entitled to a 50% discount on the final price for hard copies. Send me an email and tell me a little bit about how we met and what are your professional plans and I’ll gladly reply you with the discount code.